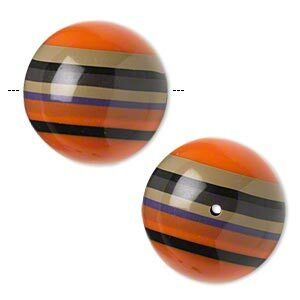 Bead, resin, orange and multicolored, 25mm striped round. Sold per pkg of 2. Lightweight beads are created with various layers of colorful resin. Colors include orange, brown, purple, black and tan. Colors, shapes and sizes may vary. 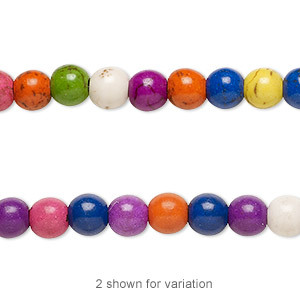 Bead, magnesite (dyed / assembled), multicolored, 8mm round with 0.5-1.5mm hole, Mohs hardness 3-1/2 to 4. Sold per 15-1/2" to 16" strand. 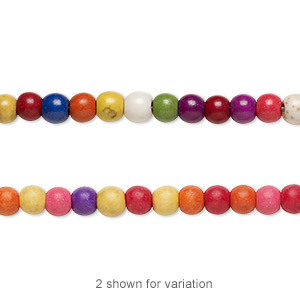 Bead, magnesite (dyed / assembled), multicolored, 6mm round with 0.5-1.5mm hole, Mohs hardness 3-1/2 to 4. Sold per 15-1/2" to 16" strand. 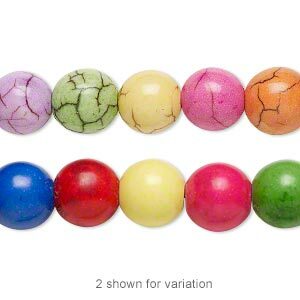 Bead, magnesite (dyed / assembled), multicolored, 4mm round with 0.5-1.5mm hole, Mohs hardness 3-1/2 to 4. Sold per 15-1/2" to 16" strand. 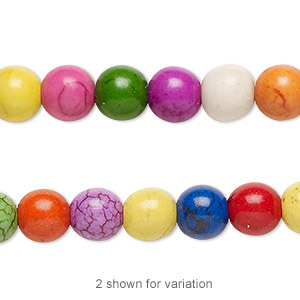 Bead, magnesite (dyed / assembled), multicolored, 10mm round with 0.5-1.5mm hole, Mohs hardness 3-1/2 to 4. Sold per 16-inch strand. 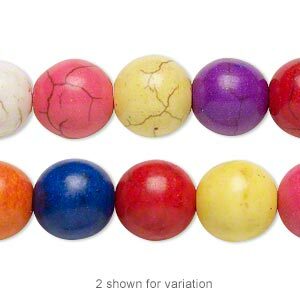 Bead, magnesite (dyed / assembled), multicolored, 12mm round with 0.5-1.5mm hole, Mohs hardness 3-1/2 to 4. Sold per 16-inch strand. 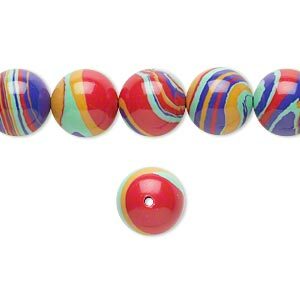 Bead, resin, multicolored, 10mm round with swirls. Sold per 15-1/2" to 16" strand. 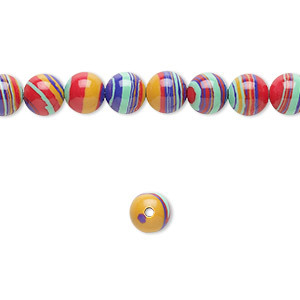 Bead, resin, multicolored, 6mm round with swirls. Sold per 15-1/2" to 16" strand. 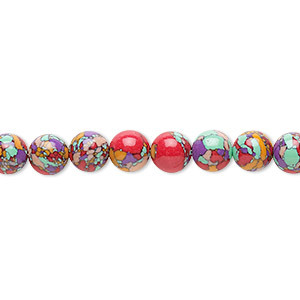 Bead, resin, multicolored, 10mm round with mosaic design. Sold per 15-1/2" to 16" strand. 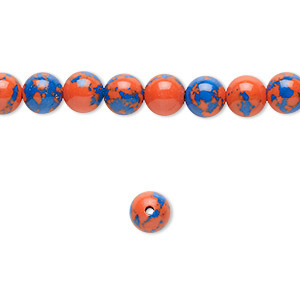 Bead, resin, dark blue and orange, 6mm round. Sold per 15-1/2" to 16" strand. 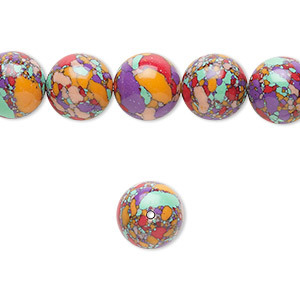 Bead, resin, multicolored, 6mm round with mosaic design. Sold per 15-1/2" to 16" strand.